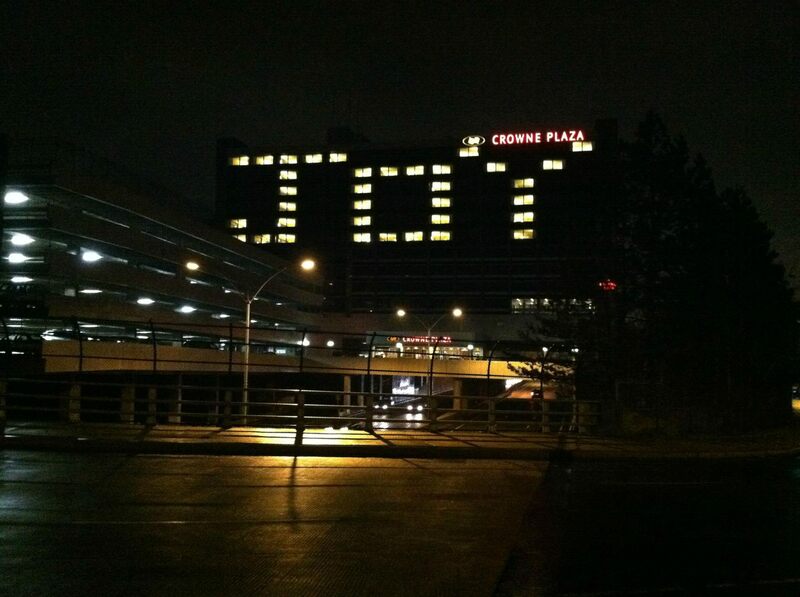 Read our blog to learn more about what's happening at Crowne Plaza Boston Newton and the Boston area! Forego a typical plated or buffet style meal—having food stations and passed hor d'oeuvres will encourage guests to mingle. Consider adding an event theme—arrange decor and food to follow the same theme to add a fun element to your meeting or event. Schedule interactive breaks to enhance your meeting—planning low-key activities helps to give guests a mental break from meeting agendas. Visit our Weddings & Social Gatherings page for more information on holding your event with us at Crowne Plaza Newton. Photo courtesy of Charles River Canoe and Kayak on Facebook. 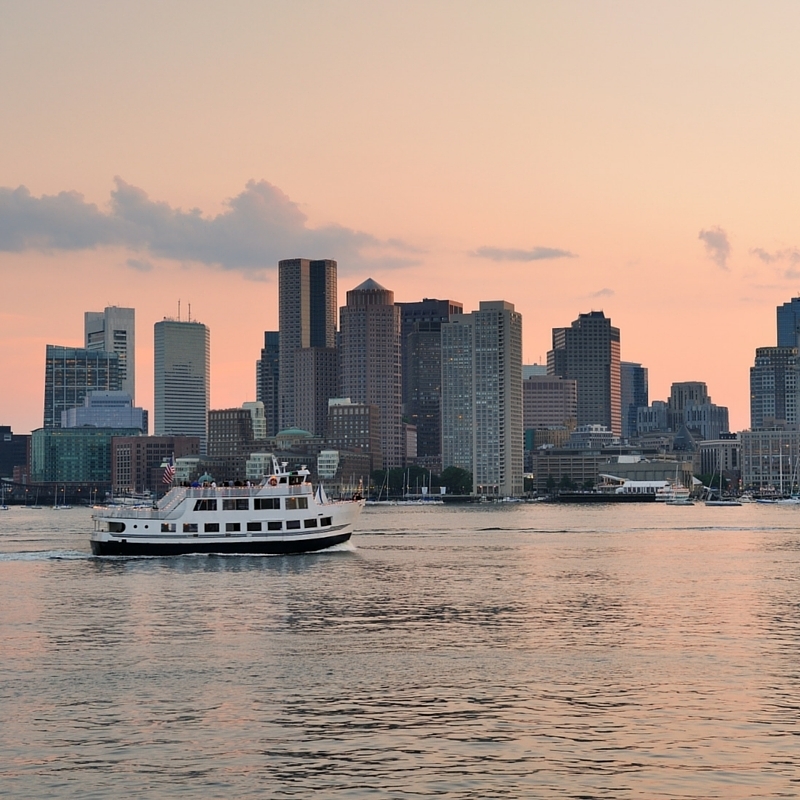 We asked our staff to share some of their favorite activities to enjoy when visiting the Boston area in summer. 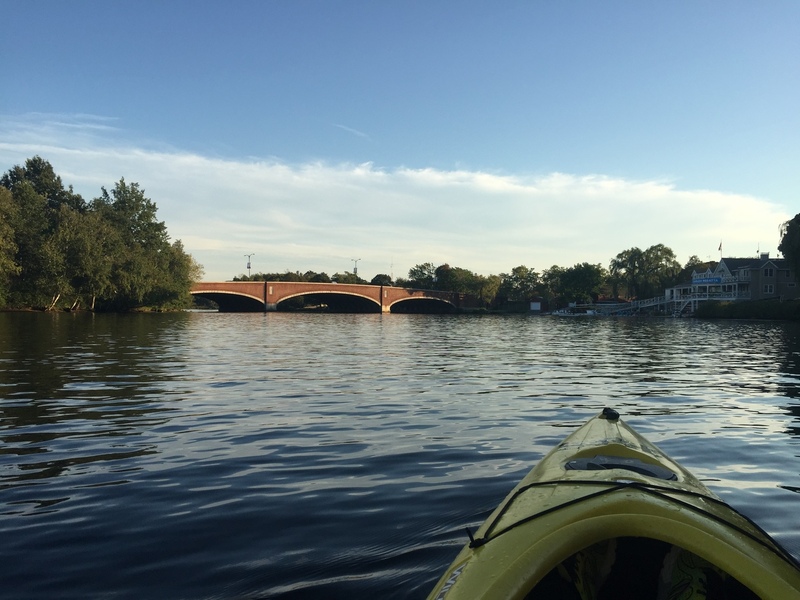 Our next pick is Charles River Canoe and Kayak which offers convenient launch points from Cambridge, Boston, Waltham and Newton. Offering a drop-in paddle off or a group guided tour, guests can choose from sunset, moonlit or even a BBQ tour of the Charles River. With fairly calm water, places to stop along the shores, picnic tables, and amazing views of natural wildlife along the route this is a perfect summertime outing for visitors and locals alike. The nearby launch spot in Brighton gives you easy access to Boston where paddlers share the water with sailboats, stand-up paddle boards and collegiate rowing teams. If you’re a hotel guest here in Newton, there is a convenient launch/rental location in Nahanton Park, only a few short miles away form the hotel and offering an amazing environmental tour. Hourly rental starts at $15/hour. One of our most frequently asked questions from our guests is how to get downtown without having to take their own car. 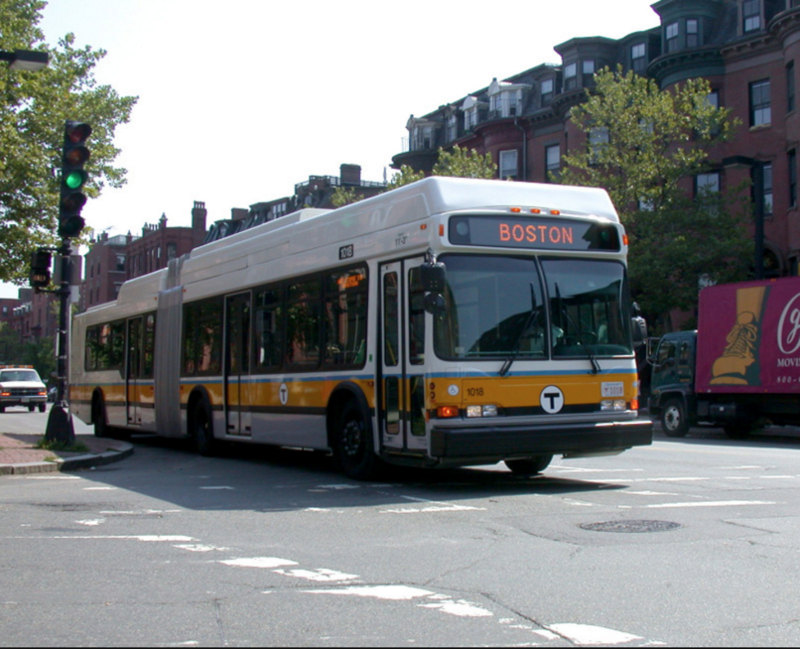 We’ve asked our local area experts, our Guest Service Team, to share their insights on getting around Greater Boston when you don’t want to be the one behind the wheel. Our guests are often surprised to find out about the convenience of the buses that pick up directly across the street from our hotel. We’ve outlined some info on the most frequently requested destinations in the handy infographic below. We asked our staff to share some of their favorite activities to enjoy when visiting the Boston area in summer. Whether you’re going to be in Newton, Waltham, Boston or the surrounding area, they had some great ideas on how to spend the sunny summer days and warm summer nights in one of the most historical cities in the United States. First of all, you are literally siting on the exact common pasture dating back to the 1600’s: the oldest park in the country. It’s a true piece of American history. Surrounded by spectacular, panoramic views of Boston spanning from Back Bay office buildings to frog pond, the State House and historic Beacon Hill, you sit under the stars while enjoying a first rate theatrical performance. 1. Arrive early for the best view and bring a blanket. Chairs are available for rent at $5 a piece. Pack your own snacks or dinner. Our team likes packing multiple small courses to enjoy throughout the evening. 2. Don’t worry if you forget your snacks! There are various food trucks, an ice cream stand and the Earl of Sandwich just a few feet away. This summer’s performance is Shakespeare’s King Lear and will be performing July 22 – August 9. To view the full schedule, click here. 1. No matter what channel you use to book your stay, check out the hotel’s website before you finalize your booking! As hoteliers, of course we prefer you book directly with us through our website or reservations office, however, we’re realistic and know our guests sometimes use online travel agencies or other methods to make their reservations. Different travel sites have different rules regarding how much details hotels can provide on their listing so before you “book now” on an OTA, go straight to the source. 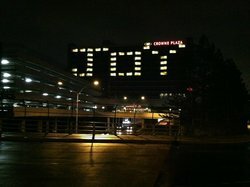 Check out the hotel’s website. Read about what they offer and any associated cost. Hotels don’t want you to be angry when you find out that breakfast or parking isn’t included so they tend to be very clear on their own websites about the details of these add-ons. If additional services are provided for the cost of your room rate, it is a great marketing tool so they’ll be sure to let you know that as well. 2. Look for packaged deals if you’re planning on using additional hotel services. If you know before your travels that you’ll need to park your car, eat breakfast on site, bring a pet or use extra Wi-Fi bandwidth look for a package that meets your needs. Many hotels offer breakfast or parking packages that will save you money by discounting either the room rate or the additional service in a bundle deal. While it doesn’t make sense to pay the extra for a breakfast package if you think you’ll be venturing out for your morning meals, if you know you’ll be dining on site it could save you some cash…especially if you’re staying for more than one night. 3. Always call! So, your family member is in the hospital or your flight was cancelled. Your company decided to move the conference start to the next day? Call. Call and let the hotel staff know. While hotels can be strict about fully pre-paid reservations, if you’re honest about the circumstances around your date change or cancel, most will offer an olive branch. Be kind. 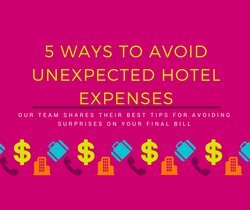 While depending on the rate you booked and the circumstances, you may not get a full refund, hotels want you back so most will do their best to work with you if you take the time to communicate. Simply don’t show up and you’re asking for full-price penalties. 4. Read the rate details. Here’s the deal: just like airlines, hotels offer some pretty great discounts if you’re willing to travel on their need dates or pre-pay for your whole reservation at the time of booking. 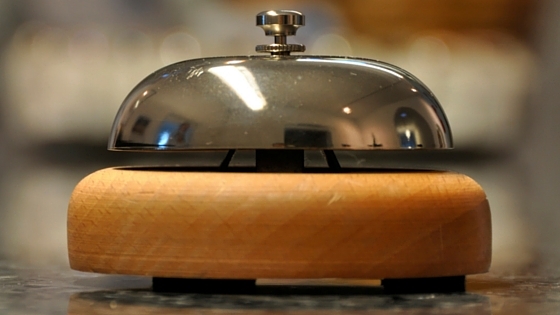 It’s a tradeoff- hotels get business when they need it and you save some major dollars. But just like booking airlines, you need to read the terms and conditions of that great rate and make sure it works with your travel plans. 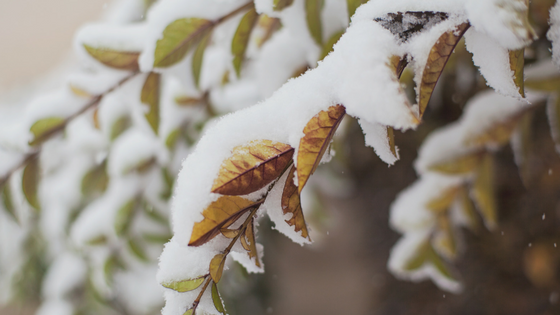 If you are on the fence about your dates or which hotel you’re going to stay at either wait to book until your certain or spring for that refundable rate…it will save you in the long run if you need to cancel or reschedule. 5. Keep your confirmation information, read it, and call back right away if you missed something on the first time around. So, you did it! You booked your trip and feeling good about the details. Your auto-confirmation comes in and you delete it or move it to a folder in your email never to be seen again. Read it! The cancel policy and restrictions will be outlined in most major hotel brand’s confirmation emails. If you accidentally booked a non-refundable or the wrong dates this the best time to double check the details so you can call right away. If the hotel sees you booked just two hours ago, they are going to be much more lenient than if you booked 3 months ago and your stay is fast approaching. We hope these tips help you feel more confident on booking your next hotel stay and we look forward to seeing you in Newton very soon! 5. The Massachusetts Bay Transportation Authority (MBTA), or the T, offers affordable public transportation around the Greater Boston area. You can travel by rail, bus, subway, or boat. 6. If you are planning to use the subway or bus frequently, consider purchasing the plastic, refillable CharlieCard. The CharlieCard is free, as you do not pay a surcharge. 7. If you know your travel dates and your plans aren’t changing, check out our Book Now and Save Big offer. Offering pre-paid discounts as high as 25% off, this is one of the best ways to save on your room rate. The highest savings can be found in August, November and December, so if you haven’t made up your dates yet, check those months for the lowest prices. 8. If you’re planning more than a weekend getaway, try one of our Extended Stay offers, which give you 20% off, simply for staying 3 nights or more with us in Newton. 13. If you want to experience this famous ballpark take the official Fenway Park tour. The price is $12 for adults, $11 for seniors, and $10 for children ages 3 to 15. 14. The Boston Children’s Museum is filled with interactive exhibits that provide children with an experience that is both fun and educational. Admission is $1 on Friday evenings. 17. Quincy Market was created to replace the then-deteriorating Faneuil Hall Marketplace and features many eateries. 23. The Commonwealth Museum gives you a chance to learn more about the history of Massachusetts and the significant people who have shaped the state and has FREE admission. 24. At The Museum of African-American History, learn the history of African-Americans and famous figures who have influenced America. Admission is $5, but only $3 for those over 62 or between the ages of 13 and 17. Children 12 and younger are free. 25. The Museum of Fine Arts offers free admission every Wednesday from 4pm until 9:45pm, and it’s always free for anyone under the age of 17. 31. Check out Park Street Church which dates back to 1809 and it served as a site for anti-slavery lectures and many other historical happenings. 35. Climb the 294 steps to the top of the Bunker Hill Monument to see where the first major battle of the American Revolution took place. Open daily from 9am until 5pm. 36. At Faneuil Hall, talks are given every 30 minutes from 9:30am until 4:30pm by National Park Service Rangers. Since 1742, Faneuil Hall has served as both a meeting place and marketplace. 37. Climb aboard the USS Constitution is the oldest commissioned warship afloat in the world. Tours are offered every 30 minutes. #MakeItHappen for your next getaway, with Crowne Plaza Boston-Newton. Book Now! As a student at Perkins School for the Blind, Carolyn, 21, has learned new skills, made lasting friendships and grown into an independent, confident young adult. She’s also amassed a resume that would rival many of her sighted peers. In recent years, Carolyn has held positions at Watertown Savings Bank, Maplewood Senior Living and Ten Thousand Villages. Each job – whether it was operating a coin sorting machine, delivering bouquets or organizing display cases – brought her one step closer to figuring out her future career. It was a placement at Crowne Plaza Boston-Newton that helped Carolyn discover her true passion: serving and interacting with others. She’s now in her second year working at the hotel, where she’s a member of the food and beverage team. On a typical morning, Carolyn whips up cappuccinos using a specialty coffee maker and makes sure the pastry and fruit platters in the 12th floor breakfast room remain neatly stocked. When a guest wanders in searching for coffee, she calls out a cheerful greeting. Carolyn’s social skills have earned her praise from supervisors, as well as complimentary notes from guests. They’ve also helped her connect with fellow hotel employees and develop self-confidence. When breakfast closes at 10 a.m., Carolyn begins the breakdown process. She uses a plastic funnel to empty the juice pitchers into larger containers, and clothespins instead of twist ties to close the bread bags. By 10:30, she’s arrived in the downstairs restaurant, ready to assist the wait staff with any task they might need. With support from McCormack and her Perkins job coach, Carolyn has managed the details of her work life with minimal assistance. She commutes independently to the hotel by calling a taxi or scheduling a pick-up with the RIDE, Boston’s paratransit service, and she emails her supervisor if she can’t make a shift. 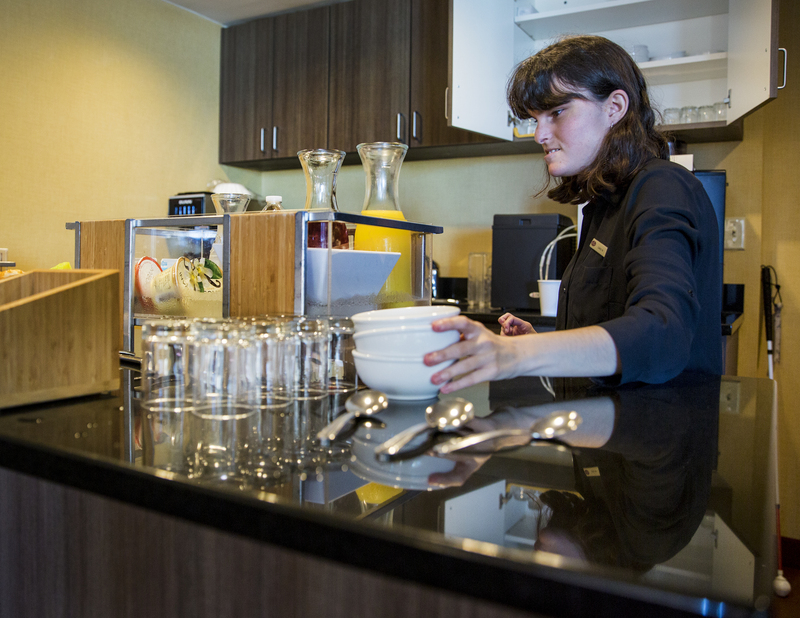 When she graduates from Perkins in June, Carolyn plans to pursue a job in hospitality. Until then, she’s asked her boss for extra responsibilities. “I’m going to try to learn everything that I possibly can,” she said. We understand- excellent service at a hotel is an expectation and one that should be met at all times, but hotels are run by people and people make mistakes. So what do you do when things aren’t going right and you need something? It could be something as simple as needing extra towels or a service issue where your standards weren’t met and you aren’t happy with the results. We understand that each guest has different communication preferences and while that certainly is taken into consideration by the hotel team, there are always more efficient ways to get the response you need than others. If you’re still in the hotel, this is the way to go for the fastest and most productive results. Whether you’re unhappy with a service encounter, or simply need a toothbrush the front desk and guest service team is the hub of the hotel. 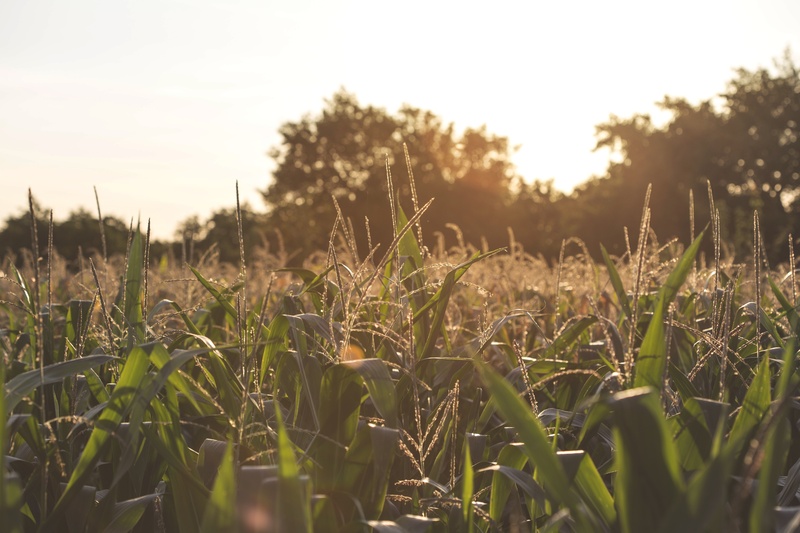 They have the tools and resources to reach other departments as needed and to make effective changes to reservation needs and even address service issues. They are trained to and want to make your problem better. Utilizing other channels such as social media, calling a brand’s service line or emailing will likely slow down your results and possibly not getting the outcome you want on the first interaction. It’s true- hotel management has more authority than the guest service agent behind the desk, however, if you want to do something simple like extend a reservation or even make a complaint about something that hasn’t previously been brought to the staff’s attention, let the guest service agent give it a try. They are likely directed to make the same decision that a manager would make in the situation and they are already standing in front of you. Unless you have an escalated complaint, the manager will likely offer the same solution and you’ll have to wait for them to be called out of a meeting, paged from another area in the hotel or get off of the phone. If you’ve expressed your concern and aren’t satisfied with the results, still be honest with the staff member you’re dealing with. Tell them that you still aren’t feeling comfortable with the answer and would like to speak to someone else. And remember, you catch more flies with honey than with vinegar. Hotels want your feedback (see Please, Complain!). They truly do. There is no way to effectively make service improvements when we don’t know we’re doing something guests don’t like. Once you leave the hotel, if you’ve made your complaint known while you were there, and the hotel still didn’t resolve your problem, by all means, post to your favorite review site, Tweet or Facebook to your heart’s content. Hotels that care are watching these channels and responding to their guests. Just remember that behind that computer screen, there is a person monitoring these channels so the response may not be instant. Even the folks behind the Twitter handle or the Trip Advisor Management responses get days off here and there. While we understand at this point, you may be extremely frustrated, we also ask if the hotel takes the time to respond and requests to contact you directly that you give them the chance. Hotels want to win you back and even if they didn’t handle it properly on property, it doesn’t mean they don’t care. Most likely, they will use your experience as a training opportunity as well as trying to make it right for you. And conversely, if the hotel did an amazing job and a staff member really stood out, bring your positive comments online too. This not only helps the hotel, but also really helps reinforce the behavior of the best staff members who go above and beyond every day. Many hotels even offer incentives for team members mentioned in positive reviews, so make that staff members day if they did something that made yours. 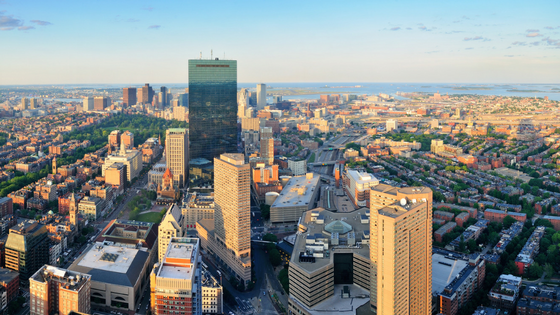 No matter what brings you to town, May is a great time of year to visit Greater Boston and we look foward to welcoming you! As we move into summer, we asked our Director of Engineering, Gerard Tilghman to share some of the most common requests his department receives. Not surprisingly, keeping your hotel room a comfortable temperature was at the top of the list. We’ve all been there – it’s a pain to get your home, apartment or office just to that sweet spot of comfort, let alone hotel rooms which are constantly being adjusted to meet guests’ preferences as they travel. Gerard shared a couple of tips for guests as well as what his team does behind the scenes to keep you as comfortable as possible. Keep room thermostat set on auto so it can work to maintain your desired temperature. 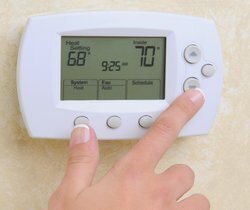 Set the thermostats at 68 degrees during summer months and 74 degrees during winter months. This seems to be universally the most comfortable temperature range. If you travel frequently with the same brand or chain, let them know your preferences. 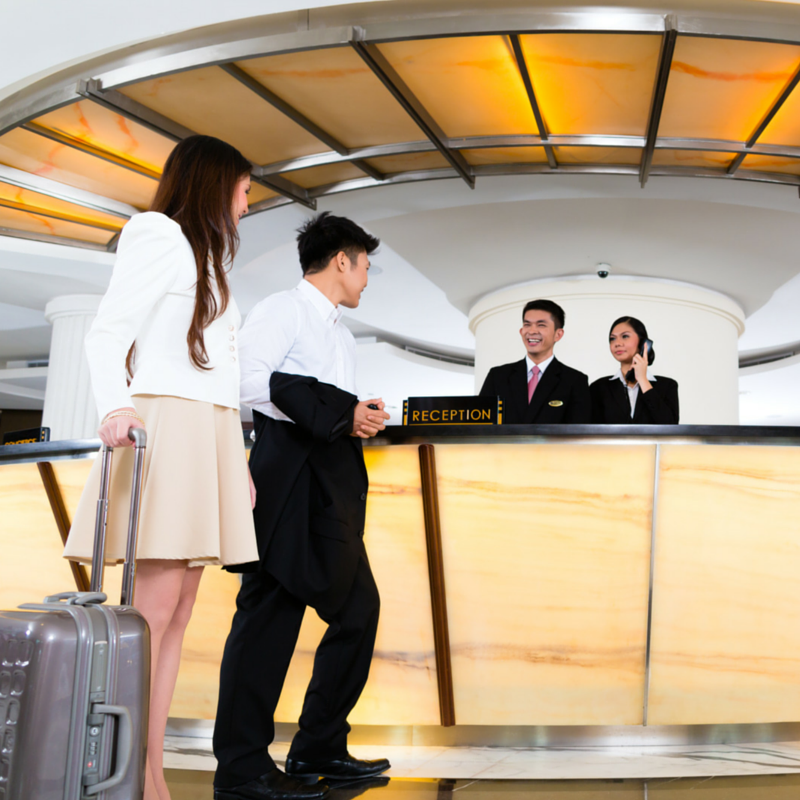 Most major hotels can track that type of guest information. This can be especially helpful if you prefer your temperature outside of that 68 – 74 range and on slower periods can allow the hotel staff to make adjustments prior to your arrival. Engineering sets up units to work with a 2 degree differential which means if the temperature raises or lowers in the room the unit will come on to cool or heat room back desired temperature - this feature is only performed by engineering staff and can’t be changed on the in-room thermostat. Housekeeping staff are instructed to make sure thermostats are set at whatever the desired season temperature setting is per Chief Engineer whether it’s 68 for summer or 74 for winter after cleaning rooms. This minimizes the impact of the guest who stayed before you and keeps energy consumption in line. Stay cool and comfortable this summer while traveling. If you have any special requests or needs, or would like to see any specific tips from Gerard, you can contact us here or find us on Facebook and Twitter. While we appreciate any feedback that makes our hotel, our team and our service better, we appreciate it most when it gives us the opportunity to make your stay better. We want to know if your soup is too cold or your room is too hot while we can bring you a hot soup, and send someone to your room to help with your AC. We want to have the chance to say “sorry this didn’t go as planned,” and to make it better so that you can enjoy your trip with your family or be productive on your evening before an important meeting. On our end, we’ll promise to ask how we’re doing when we pass you in the hall or lobby, but please, promise us that you’ll answer honestly so that we can do something about it. Our shared goal is that you leave our hotel happy, feeling taken care of and looking forward to coming back. Many of our guests road warriors, traveling for work three or four days out of the week making it challenging, to say the least, to stay on top of wellness goals during the week. Food options can be limited between airport food, room service and the oh-so-tempting goodies served at coffee breaks that would never be found at home. Throw in an evening conference call and late night catch up work, or cocktails after a long meeting and forget any adherence to diet or healthy eating goals at all! While it certainly can take some extra self-control and dedication; it is possible to stay healthy while on the road. In meeting breaks, opt for the yogurt fruit smoothie or vegetable crudité instead of the cookie and ice cream sandwich. Stretch or walk around your guest room when taking a late night work call, rather than sitting in bed or at your workspace. 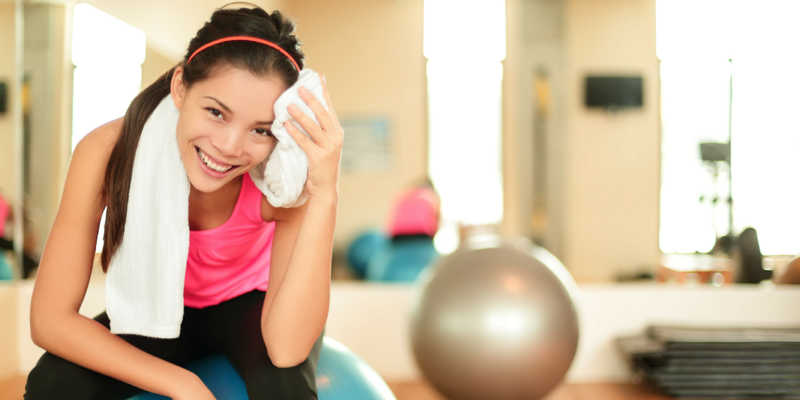 Bring your workout clothes for every trip, even if your schedule ends up making it difficult, if the opportunity presents itself, you’ll have what you need to escape to the hotel gym. Offering meeting menus with healthy coffee break items. Healthy vending machine alternatives located on every other guest floor. A fitness room with machines and free weights open 24/7 to meet different workout schedule needs. Healthy snack options in the lobby market, also available 24/7 so you can avoid that late night, junk food snack-attack. Recommended jogging route for a chance for some fresh air and outdoor exercise. For more ideas on staying healthy on the road, be on the lookout for our #WellnessWednesday posts on Facebook and Twitter. You can also check out some of the best running routes in Newton prior to you stay by visiting Map My Run. 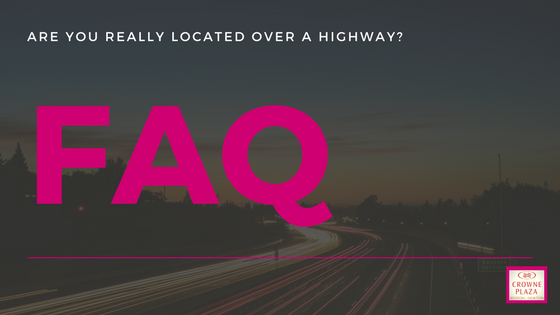 FAQ- Are You Really Located Over a Highway? For guests who are not familiar with our hotel, our unique location, truly is unexpected. We are indeed located directly over the Massachusetts Turnpike, I-90 or as the locals say, “The Pike.” Our guests tend to have varying reactions to this view atop the bustling Boston Traffic and while it may not be the perfect fit for the lightest sleepers among us, many of our guests find it to be an interesting and unforgettable view. We thought we’d share some of our favorite guest comments and photos regarding our location so that you can get a feel for our one-of-a-kind hotel setting, for yourself. If you’re a light sleeper, let us know. We will do our best to assign higher floors, when possible, and we do offer ear plugs and white noise machines upon request at the front desk. While our decibel level is well within the standard range for a metro hotel, we want our guests to be comfortable and rested when staying with us. 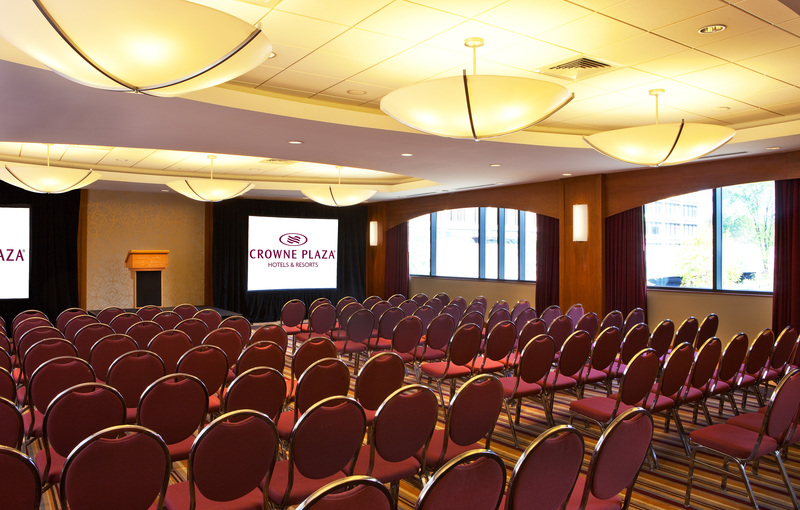 Please don’t hesitate to contact us with any questions and we look forward to welcoming you to Crowne Plaza Boston-Newton! 1) Host a welcome reception for team members and fans after arrival. 2) Offer a special treat at check in—personalize cupcakes or cookies by putting the team’s logo on them. 3) Talk to your hotel about having welcome signs with the team’s logo in the lobby and on monitors throughout the hotel, if possible. To stay up to date on tips from our sales team, follow us on Facebook, Twitter or LinkedIn. Be flexible on your travel dates- The more willing you are to adjust your stay dates based on need periods for the hotel, the more likely you’ll find a good deal. Call the hotel directly and ask them when they have some slower nights and might be offering the best deals. Be willing to pay a deposit in advance- Once your travel dates are set, hotels offer some pretty deep discounts for the guests who are willing to pay a deposit and know they won’t cancel. For hotels, it’s guaranteed business and for the traveller, it’s a great way to save on the nightly rate. Choose unconventional stay patterns – When Suzanne travels for leisure with her family, she looks for unusual days of the week that leisure guests typically won’t travel. Sunday-Monday night or Thursday -Friday night instead of a typical weekend Friday -Saturday night stay can save a lot of extra money if your personal schedule allows. Book directly with the hotel – While in this day and age of thousands of hotel booking sites it is tempting to shop around with online travel agencies, it often doesn’t save you much money and can lead to frustration. The majority of large chains have to guarantee the lowest nightly rate on their own website so you actually don’t save any money from using the travel agent. 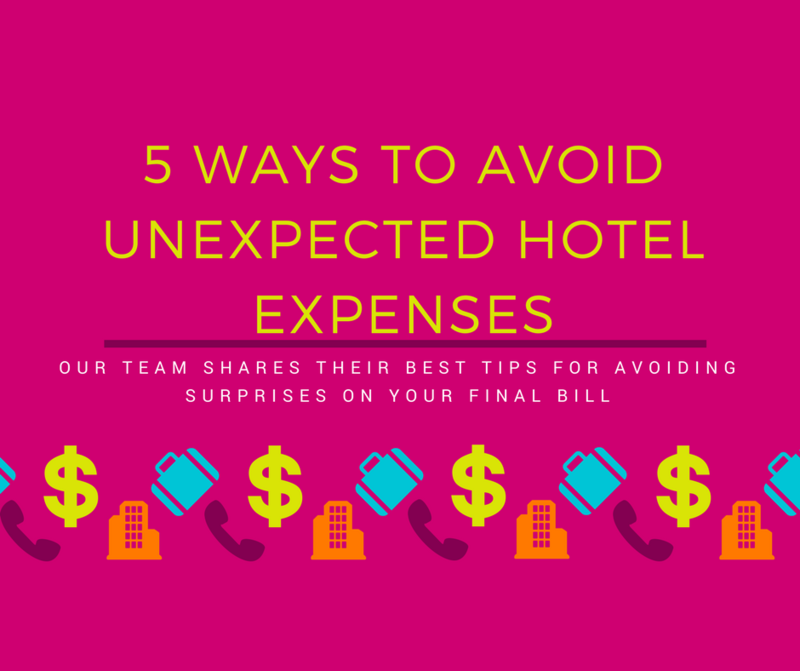 Additionally, if you don’t book directly with the hotel you may run into challenges if you need to cancel or make a change to your reservation. For more from Suzanne, follow her on Twitter or connect on LinkedIn. To find out more about Key Hospitality, check out their website or find them on Twitter. To find the latest promotions and deals at Crowne Plaza Newton, visit our Promotions page. Be engaging: Set an agenda that allows for attendees to participate—successful meetings aren't a one way conversation. This should also be considered in any meeting follow-up. Be creative: Not all meetings have to be boring—work with your venue to explore creative options. Liven up your space with greenery, or make fun food and beverage selections. Be upfront: Be clear on budget with your venue—let them know what is important, and what is a wish list only item. For more information on holding your next offsite meeting with Crowne Plaza Newton, visit our Meetings & Events page or contact our sales team. You can also keep up on the latest by following us on Twitter. Following check-in, consider a welcome reception. This allows your group to mingle, share ideas, and go into meetings with a clear mind. If guests have travelled far, consider having welcome bags handed out at check-in. Water, itineraries, maps, transportation passes and local restaurant guides will help your group to feel more comfortable. For in-house meetings, think outside the box. Keep your group engaged with unique room setups, interactive food stations, and state-of-the art audio/visual equipment. For more great tips from Leah, you can connect with her on LinkedIn. 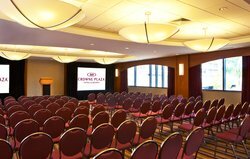 Also, be sure to check out our About page to learn more about if Crowne Plaza Newton is the right location for your next off-site meeting stay. There are so many sites and activities in Boston, especially as the months get warmer. We asked our Front Office Manager to share some of his favorite activities in the area. First up: Boston Super Tours Upper Deck Trolley. Super Tours Upper deck trolley features stadium seating, which is unparalleled with any other tour. The ticket (which is under $40) is a two-day pass along this hop on/off tour of Boston and Cambridge. It also includes access to 21 museums and attractions around the city. Tip 1: Purchase the "Premium Ticket" and you'll take a splash on their very own amphibious boat! Tip 3: Visit Bricco at 241 Hanover Street in the North End for dinner when your tour is done! 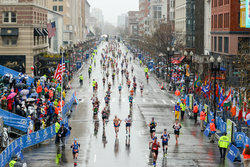 You can purchase tickets at www.bostonsupertours.com or from our concierge. Planning a family vacation away? Save with our Extended Stay Offer when you stay 3 nights or more! As we approach the holiday season in Boston, we’ve compiled a list of some of our holiday favorites for our local friends and guests alike. Whether art and culture, or sporting and family events are your cup of tea, there is something for everyone on this list of holiday festivities. November, December and January in Boston may be chilly, but that doesn’t mean there aren’t plenty of winter activities for those looking to go out and about. College football returns to Fenway this season. Purchast tickets here. Christmas starts early with BLINK at Faneuil Hall Marketplace. BLINK runs from November 29 - January 1. Traveling over the holiday, or just plain sick of cooking? If you’re deciding where to eat Thanksgiving Dinner out in Boston, this list will help! Looking for a great event for the whole family? With the exception of Christmas Day, The Stone Zoo offers Zoolights from November 24 – December 31. If theater is more your style check out Elf the Musical or the Boston Ballet’s Nutcracker. Finally, ring in the New Year with First Night Boston. The ICE at Faneuil Hall is a great way to start the New Year off on December 31 or January 1. Feeling daring and willing to embrace the cold? Take the plunge with the L Street Brownies New Year's Day swim. Once the holidays are over, it doesn’t mean you can’t still enjoy a number of events throughout the city. Boston’s sports teams are a great way to get out and about even when the weather’s cool. While you’re in town, the holidays are one of the best times of the year to stay for less in Boston. For the best deals, check out our book early and save or extended stay offerings. It’s the most wonderful time of the year! Decorations everywhere you look, festive music and food and of course, the time for holiday parties. Between the company party, family events and even hobby group gatherings, it can be hard to keep your schedule straight, let alone if you’re the one planning the festivities. Have no fear, our expert team of sales and catering professionals have five questions to ask yourself to get the planning in gear and reduce your holiday stress! 1. How many people do you plan on attending your party? This is an easy one to start with. How many people are you inviting? Are significant others invited? Is the whole family welcome? 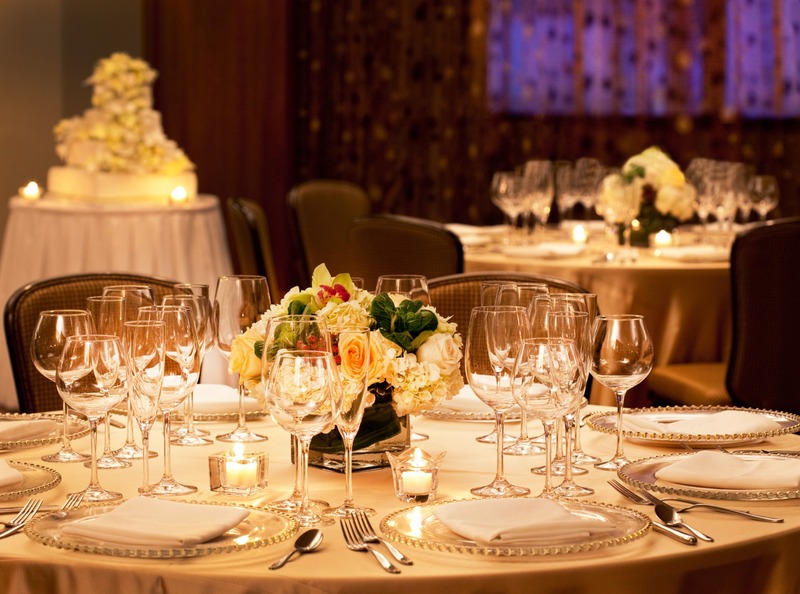 Start with how many guests to narrow down your venue and help secure your budget plans. If you’re a small company with only a handful of employees, you might get the most bang for your buck buying tickets to a big-little party. These are put on by event venues and the venue plans the details and sells tickets to smaller groups in order to offer a larger scale holiday party feel. If you’re a large company, you may want to plan more of the details of your event, in which case a private party may work best. 2. Is there a specific theme you already have in mind? If you have dreams of ice sculptures and know the party playlist you have in mind then a private party in a private event space is probably best. 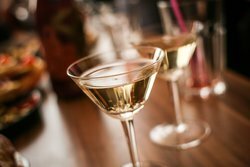 Sometimes the vision in your head is hard to stray from and if you can envision the whole event from invitation to post-meal signature cocktail, working with a dedicated event manager to help you pull off the event may be the best plan. This obviously can make a big impact on your plans. Smaller budgets benefit from those cozy gatherings at someone’s house with everyone bringing their favorite holiday treat, a team lunch out with a Yankee Swap or buying admission to a big-little party. 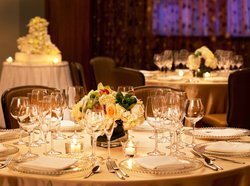 Bigger budget means more flexibility to hold an event in a private room with a cocktail hour, seated meal and entertainment. 4. Are there scheduling restraints or is your party date flexible? If you need a specific date and time, keeping it flexible with venue availability could be a challenge. If your company is large and has the space, keeping the event in house and catering it out may be best. If you’re somewhat flexible but have a short list of dates, a private party may do the trick and if you really want to go with the flow, joining a group party or finding a dinner reservation spot may be affordable and meet your time needs. For the best deals on private space, consider hosting your party after December 31st. Your price point may be easier to meet and your guests may be more available after their family holiday obligations are complete. 5. How social are your party attendees? If your team, co-workers or friends tend to be a quieter, turn-in early bunch you may want to revisit the idea of a dinner out or small gathering at home. If you have a small team with big personality, a pub or entertainment venue may work better. 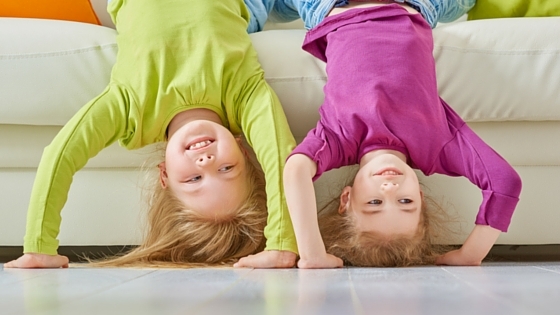 Many of the big-little parties offer a party atmosphere without requiring your own guest list to be large. You can also consider transportation options or overnight accommodations if you have a rowdy bunch and your budget allows. If you’re interested in joining us for the holidays, we have a wide variety of options. Ask our sales and catering team about how we can help you plan the perfect holiday party to meet your needs. Boston can be a magical place in winter. This year, our staff suggests checking out the City Hall Plaza Skating Path and Holiday Market. The custom outdoor skating path and European-inspired holiday market has winter activities, holiday shopping, a pedal-powered holiday tree and Santa's House! With kid-friendly activities including an Enchanted Castle, letters to Santa and an enchanted Christmas Tree maze, the whole family can enjoy the festive feel of the holidays. Adults will enjoy the tastings and Vinopolis, an interactive wine and beer experience. Not local? Not to worry- skate and locker rentals are available, as well as shopping the variety of local and international vendors to bring home unique holiday gifts for everyone on your list. 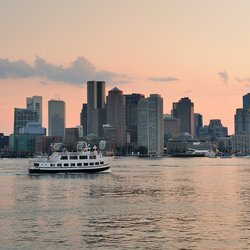 Looking to book your Boston Holiday trip? We have something for every travel need here. As part of Key Hospitality, our hotel team has signed up for a variety of charity and community events over the years. Caring about each other, but also the communities we work in is part of our commitment to upholding the KeyABCs. One of our Key Beliefs that seems to hold a special place in our hearts this time of year is believing in being great stewards in the communities where we work, social and environmental responsibility and dedication to modeling our Key ABCs. This year, our Director of Engineering, Gerard brought a great local charity to our attention, LUK Inc. Their Warm Hands and Warm Hearts program touched a special place in the heart of Gerard and his wife and Gerard decided to lead a collection for coats, gloves, hats, scarves and new socks for those in need. Our hotel team will be collecting these items through the holidays and Gerard will be delivering the items on our behalf for the MLK Day of Service. When one of our team members has a passion for a project, it tends to spread, and we thought there was no better way to share the details of this great cause with our guests than on our own site. While this collection at our hotel, started as a way for our co-workers to give back, we also welcome donations from our guests. In addition, we will link you to the official drop-off locations for those who'd like to donate on their own. You can read more about LUK, Inc. below. Hoping the spirit of giving follows you throughout the holiday season! LUK, Inc. is a not-for-profit social service agency located in central Massachusetts dedicated to improving the lives of youth and their families. LUK offers a full spectrum of programs addressing mental and behavioral health, trauma, addiction and substance abuse prevention, and homelessness. LUK was established on the belief that all people have inherent worth and every community is empowered to make changes to ensure the well-being of its members. LUK has a long standing reputation of being person-centered, with qualified, caring and compassionate professionals working with community members “where they’re at.” Each individual is met with qualified staff who provide personalized services to help people meet immediate needs. At LUK, we get to support and cheer on individuals and families, and are happy to watch the people we work with grow into their unique potential and reach success as they define it. Some people work with us for a short period of time, while others stay on for longer – it is important to us to be able to be there for people as long as they need us. This year, LUK’s Youth Development program’s Peer Leaders will be working with the Montachusett Opportunity Council (MOC), and Fitchburg YMCA on their Warm Hands& Hearts project. They are collecting winter clothing items for those in need, and will distribute the items on January 14th, in honor of Martin Luther King, Jr. Day. These youth are energetic, enthusiastic, and committed to making their community a better, happier, kinder place. For more information about the Warm Hands & Hearts project, email YouthDevelopment@LUK.org or call 800-579-0000 and ask for Youth Development. It's that time of year again! Our hotel team is thrilled to welcome marathon participants and spectators back for the 120th running of the Boston Marathon. We've put together some on property offerings to make this special weekend even more enjoyable. We have course maps available at the front desk and can assist in providing you directions to watch the runners tackle Heartbreak Hill, which is less than half a mile from the hotel. Our guest service team will be assisting with public transportation options to the finish line. 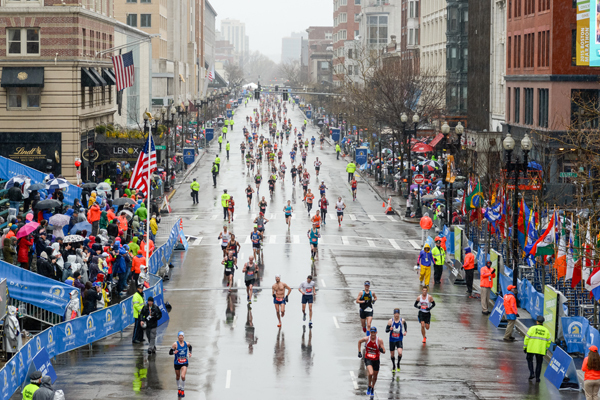 We will be providing complimentary bottled water on Marathon Monday between the hours of 5:30AM and 11AM to help the participants and spectators stay hydrated. Our fitness center is available 24 hours a day and our pool is available from 7AM to 10PM daily. Kindly bring your room key card for access. On Sunday, April 17 we are offering a pasta buffet dinner in the lobby restaurant from 5pm-8pm for $15.95 per guest. You can download our menu below. Our breakfast hours will be extended to begin at 5:30AM on Marathon Monday with Continental Breakfast. Full breakfast will begin at 6:30AM. Our team looks forward to welcoming our marathon guests all year and we are thrilled to be ushering in another year of runners and onlookers this coming weekend!